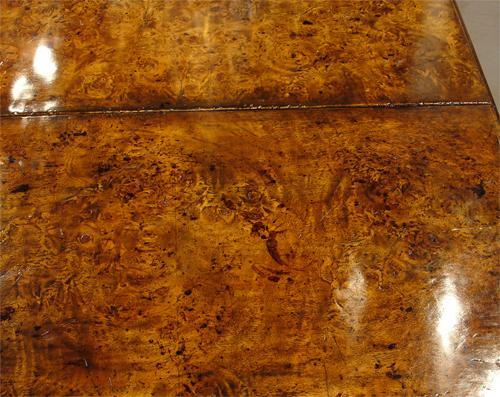 An Exceptional Early 19th Century English Burl Mahogany Drop Leaf Spider Table No. 968 - C. Mariani Antiques, Restoration & Custom, San Francisco, CA. 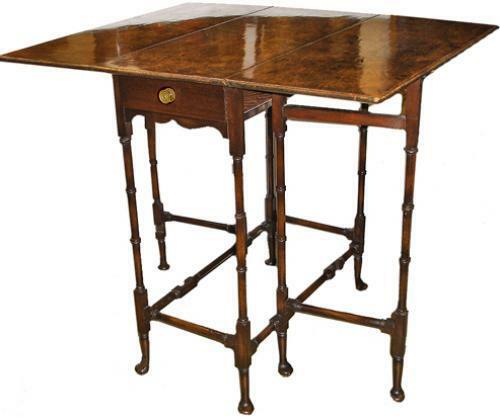 Height: 28 1/2"; Width 27"; Depth (closed): 12", Depth (open): 34"